We’re excited to announce our very first Pinball League! Our league will run from 7PM-9PM each Thursday in February and consist of all currently available machines in the store. You can read the full rules and breakdown here. All four weeks of the league will be IFPA certified so it’s a good chance to get your ranking up! 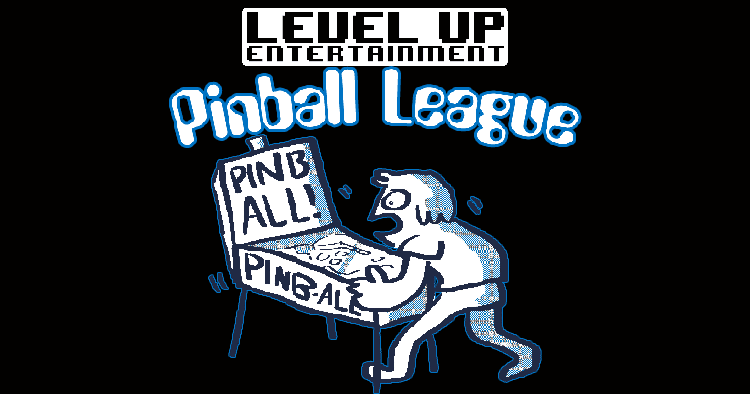 You’ll also get an exclusive Level Up Entertainment Pinball League T-Shirt! There will be a $20 entry fee that will cover your T-Shirt, IFPA Certification, and maintenance of our machines. If you’re interested please fill out to the form below. Space is limited so we will e-mail you if you signed up in time!